Coincidentally, the photos in the video were taken only three days after President Donald Trump gave a speech calling for the creation of a Space Force, which I discussed in my previous articleas a step towards disclosure of the US Air Force run secret space program. This raises the possibility that JP’s sightings are part of a USAF backed disclosure initiative that is being supported by the Trump administration. Life is complicated. Even when we know we shouldn’t over-react to stressful situations, freak-outs happen. It takes practice and perseverance to train ourselves to stay calm when everything around us falls apart. It is not easy, but we can continue trying. Here’s one simple technique that may help you handle stress and anxiety at the moment it’s happening. It is called emotional freedom technique (EFT) and anyone can learn it. Two of the simplest tools for handling stress as it’s happening are to take some slow breaths or count to 10. As a mother of three, I have used these many times. But sometimes, when there’s a truly stressful situation at work or something is causing you lots of anxiety, counting to 10 really doesn’t work. Your brain and body need more. When you face a stressful situation, your body responds physically. The brain sets off an alarm system in the body, which responds by producing extra stress hormones. Specifically, the adrenal glands on top of the kidneys make extra cortisol. The body can typically handle a few random stressful moments, here and there. But many of us are dealing with daily stress due to a work or life situation. As well, many of us living in big cities just can’t help to get frazzled by the fast pace of life. The long-term activation of the stress-response system — and the subsequent overexposure to cortisol and other stress hormones — can disrupt almost all your body’s processes. This puts you at increased risk of numerous health problems, including: Anxiety, Depression, Digestive problems, Headaches, Heart disease, Sleep problems, Weight gain, Memory and concentration impairment. A study published in the Journal of Nervous and Mental Disease found that EFT, aka tapping, lowered the major stress hormone cortisol significantly more than other interventions tested. The study evaluated 83 subjects. Researchers randomly assigned each participant to a single hour-long session of EFT, talk therapy, or rest. The results showed that cortisol levels in the rest and therapy groups declined by an average of 14%. Remarkably, cortisol levels in the EFT group declined by 24%. This is exciting because it is the first randomized controlled trial of EFT to evaluate a physiological biomarker (i.e., cortisol levels) and it shows robust, positive effects. It sets the stage for further research to explore whether EFT affects other physiological systems, including the expression of genes involved in stress response. Just so you can see how easy and effective tapping can be, check out the video below. Just watch, repeat the verbal cues, and see your stress melt away. Once you follow this video a few times, you’ll remember what to say. Then, you’ll be able to defuse your stress anytime, anywhere. In addition, here are some great free meditation that incorporate EFT and verbal cues to help you reduce stress, anxiety and handle all types of unpleasant situations. Go here for Free Tapping Meditations. If you want to know more about the location of the acupressure points to tap, check out this article I wrote about tapping and treatment of PTSD: Drug-free Therapy Shows Potential to Heal Trauma, PTSD and Chronic Pain. There you will find a short video by Jessica Ortner where she takes you through the basic tapping points. Please share your experiences and results with EFT in the comments. This article (Simple Way to Handle Stress and Anxiety as It’s Happening, and Science Proves It) was originally created and published by Waking Times and is published here under a Creative Commons license with attribution to Anna Hunt and WakingTimes.com. It may be re-posted freely with proper attribution, author bio, and this copyright statement. David Wilcock: Welcome back to “Cosmic Disclosure”. I’m your host, David Wilcock. I’m here with Corey Goode. And where we last left off, he had had a very interesting meeting with the Super Federation, and I guess you thought you were going to go home. Corey Goode: I did, yes. David: But that isn’t what happened, was it? Corey: No. No. Right after this meeting, I ended up in the foyer of the Super Federation base, and it was at that point where I was picked up by a Blue Sphere I thought to bring me home. But instead, I ended up in that huge domed area of the Anshar temple complex where I had first appeared well over a year ago when I first met the Anshar. I appeared there. There was . . . It was bustling. There were people in line to go into this one opening that went in towards the cleansing ceremony, and I immediately saw Aree and her sister walking towards me with huge grins on their faces. David: Corey, you are now calling her Aree, and you’ve also mentioned her sister, so could you please clarify why the name change, and who is her sister exactly? Corey: Aree . . . She’s had me call her that from the beginning. I was continuing to use her full name: Ka’Aree. Ka . . . She comes from the House of Ka, apparently, her and her sister. I was doing that to be able to tell who was genuine in saying that they had been in communication with the Anshar. David: It is interesting to point out that in The Law of One Material, they specifically mention the Ka as a name for the spiritual body that we all have. David: So that is a direct Law of One reference, interestingly enough. David: So who is her sister exactly? Can you tell us a little bit about that? Corey: Yeah. Her sister is very similar to her in just about every way. I’m keeping her name to myself for now. She’s doing a lot of outreach to people right now on the surface. David: What specific types of outreach would you say that her sister is doing? Corey: Well, she’s one of the people that are sitting in these egg-shaped chairs, that I’ve described before, that are networked together between their mass consciousness and ours. They reach out to us in dreams. Later on, I get to learn how to use these chairs a little bit more on my visit, and it’s also somewhat of an entertainment for them. But they watch us, observe us, and give us guidance remotely from these chairs. David: Normally, if people have things appearing in their mind, we would call that schizophrenia or something along these lines. So what is the dividing line between this guidance and a profound mental illness of somebody “hearing voices”? When you’re in one of these chairs, you can use it to go to any gathering, or place where there’s just one person, and be in the room with them. You are basically above their shoulders and head looking down on the scene, almost like what people would picture angels doing. They sit there, and they observe conversations or observe a person working, and if they think, “Oh, I could guide them in this way. This would make this much difference in the timeline and help here and here,” then they do this kind of a “bling” [a sound], where they give the person a download, and it’s like an information package that’s compressed. And then it decompresses, and people just get all of this flood of ideas, and we call them “downloads”. David: And it appears as original thought without the people realizing where it came from. David: Okay. So you meet Aree and her sister. Could you tell us what happens then? You said they’re really smiling. Did you know why? Corey: Oh, yeah. It was because of the meeting I had just been at. They were very excited about it. David: So what happens next at this point? Corey: They immediately guide me to the corridor that leads out to that huge cavern where the Anshar city used to be. If you remember, the city was somehow removed and put into this temporal anomaly. Corey: There was one of the Anshar bus craft waiting for us. People were boarding it, and Anshar were boarding it, and there were already Anshar on board sitting. David: About how many were in the craft? David: Okay. So it’s pretty crowded. Corey: We take off, and then we head right into that temporal anomaly. David: What does it look like as you go into it? What do you see? Corey: Well, I didn’t get to see anything . . .
Corey: . . . because it’s like someone turned on this huge magnet next to my head, and my consciousness does this . . . I mean, I kind of pass out and fall to the side, and then I come right to immediately once we get through it. It’s like just some sort of barrier that affects my consciousness. Corey: You can see all the cities laid out all along the sphere. The tops of the buildings are facing towards the center point in the sphere. David: What do you mean by “the sphere”? Is it a sphere of energy? Is it a cavern? Corey: It’s a spherical energetic bubble. Corey: And along the inside of the sphere is where all of the cities have been joined together. Corey: So we fly down into the Anshar city area, and we approach some of the huge domed buildings. And we land on top of one of them on this . . . it’s almost like a helicopter pad, but it’s larger. It’s on top of the building kind of on stilts. So we disembark from the craft, and we all start heading to this area on the roof that was an area that you walk in, and then there were two oval holes in the floor that are sunk into the wall that go down like tubes. And each of them began to walk up and stand in those tubes and go down. As we got closer and closer, it was my turn. I thought it was going to be like a slide you jump in and phew, down you go, but I stood, and there was like a barrier that moved a little bit when I stood on it, and when I looked down, I saw the Anshar that went before me looking up at me. I saw this part of their face and forehead [Corey motions to the left side of his head] as they kind of disappeared. And then I went down. It was just like riding an elevator. David: Did you get any fear of heights or anything just to walk into a hole? Corey: Yeah. I had an uneasy feeling. Like I said, I thought I was going to . . . I had the feeling . . . My brain was telling me that I was just going to drop. David: So what happens as you go through this tube, and where do you end up at the bottom? Corey: Well, we end up at the bottom, and we walk out, and there’s this huge area inside the dome where Anshar are walking around all over the place. They are wearing all kinds of colorful clothing that is obviously woven. It wasn’t this high-tech type of clothing that I had seen prior. Anyway, we’re walking through this group of people, all bustling about, going on their way to do whatever they were doing, and we see some of the people walking out, and some of the people coming in, but it’s through like a wall. It looked like people were just walking through the wall. Corey: We walked through, and there was a little sticking, kind of a stickiness energy, as we walked through, but we walked through, and we were in a bustling area of people walking around, people flying around like Superman. Corey: The elders, the people who were much older, will fly around using the technology that they have to fly around like Superman. But everyone else was walking around like we would at a mall. David: Well, now is it a technology, or is it like telekinesis? Is it some kind of psychic ability they have to do that? David: Really? Well, it must have been impressive to see, I would imagine. Corey: Yeah, it was, because you would see people coming down and lifting . . . just, I mean, like Superman. David: Why do you think only the elders were able to do this or allowed to do this or something? Corey: The elders . . . they looked different than the rest of the Anshar. I was told that it’s not uncommon for fourth density and other types of beings as they age, they get taller and skinnier, and this, apparently, is what happens with them. They grow another two or so feet, and they get very, very thin, very frail, and their skin gets even whiter. And they had wrinkles all around their lips and around their eyes. David: I want to point out something so bizarre, which is: I had this call from Pete Peterson where he starts telling me about these Nordics that he had encountered when he was in there, and he said exactly the same thing, that they go through three growth phases. The third growth phase causes them to get taller and skinnier. Corey: Another thing that I saw that they wore is they wear an eye protection. Their eyes get very sensitive. We walked to a building that was a building for Aree’s family group and the offshoots of her family group. They were all together in this big building. I was brought to the area where her family group lives, and I was shown a room, a small room, that had been set up for me to sleep in. I was going to be there for a while. Corey: She brought me to the bed that was created for me, because they don’t use beds. David: Well, hold on a minute. They don’t use beds why? What do they do instead of sleeping? Corey: They do some type of cycle that lasts like 45 or 50 minutes every several days. They don’t have a sleep cycle. David: They don’t need to lie down when they do that cycle? Corey: No. They sit in the chairs. Corey: So on this bed, the first thing I see are three shirts, three pairs of khaki slacks, and a bunch of toiletries, just strewn out. The clothes look like they were from like JCPenney’s in the 1980s. It was blue, just regular, blue polo shirts and khaki pants, no belt, and they had underwear, deodorant. So I saw all of this, and I realized they were going to have me there a little bit longer than they ever had before. Corey: And sure enough, I ended up doing two sleep cycles when I was there, two full sleep cycles, so I was there probably about three days. David: Was this the size of like a small dormitory room, or did it have some space to it? What was your room like? Corey: No, it was very small. It was probably eight feet by six feet. Corey: But, I mean, I wouldn’t spend much time in there. David: Obviously, you’re going to need to eat something. So what was the food that they provided? Corey: The food was all vegetarian, of course, a lot of raw vegetables, and a lot of interesting sweet cakes that they made out of vegetables that were really good. David: Would you say it’s the best stuff you’ve ever tasted in your life, or was it just okay? Corey: To be honest, it was kind of bland. Corey: Yeah. It was just . . . I mean, there was no seasoning. They were just eating raw vegetables, and they didn’t eat that much, and they didn’t eat that often. David: Did you get the sense that you were being fed the same things that they were . . .
David: . . . or did they have to modify it? Corey: No. I was sitting, eating along with them. David: Where you were sitting, did it look at all familiar to what we would have as like a cafeteria table or something? Corey: Yeah. It was a cafeteria. Corey: Right. They had a commons area, a large commons area. The roof was higher. It was about two stories high. And then they had private areas where they had private . . . areas where they could have their own . . . kind of like a room, but they didn’t really spend much time in them. David: So if you need to eat more often than they do, would they bring you to this cafeteria and then not have food, or would they always eat with you? Corey: I only ate three times. Corey: Yeah. But, I mean, you’ve seen how I am anyway since I went over to being a vegetarian. I ate one, maybe two very small meals a day, very small. The food was very high in nutrients, obviously, because, I mean, you immediately felt a pickup from the food . . .
Corey: . . . when you ate it. David: So it was energized somehow? Corey: Yeah, but it tasted like normal vegetables. Corey: Well, Aree told me that I was being given a gift basically, that I was being allowed to spend time with her family group, and also go through the preparations to go with them to this base outside of Saturn to meet this “Council at Saturn”, as they call them. So, you know, I got to spend a lot of time with these people. I was told not to touch anyone – to keep my distance. David: Which is exactly what Pete Peterson said too, interestingly. Corey: Right. When I first arrived, they stood a good distance away and weren’t being that friendly, but they saw Aree . . . When I first got there, she took me by the arm, touched me and took me by the arm and guided me to show me where I was going to be staying. After that, it had an impact on the people. They started getting closer and closer, started asking me questions, talking to me. They were very curious about the surface world. David: Let me just ask you one thing that might clear some misunderstandings up for our audience. People might be inclined to think that these beings are interdimensional, and that, therefore, they would be like ghosts to us, and, therefore, if you were going to go there, that you would have to be like a ghost. Corey: These are not higher dimensional or different dimensional beings. These are us from the future. They traveled back into time to preserve their timeline. They are flesh and blood just like us. So after the first day, the children and the other people started coming closer and closer in, spending time with me, close enough to where I could touch them, but I didn’t. At some point, there was kind of a parting of the waves, people were getting out of the way, and I look up across the room, and there’s Gonzales. He looks very haggard. He looks beat. He sees me, and he starts to walk across, and I meet him, and he just drops into one of the chairs. I go over to one of the chairs, and I sit in it, and I mentally guide it over, the way they showed me how to do, over next to him, and asked him, what are you doing here? What’s going on? David: So you can steer the chair around just with your thought and move it to different areas? David: So you zip over to Gonzales’s chair, and then what happens? Corey: If you remember, Gonzales got to spend a lot of time with the Anshar. He was actually staying with them in their city at one point. Corey: And as a part of the work he was doing while there, he was working with this race of giants, a red-haired, six-fingered race of giants. He was starting to make some headway with them when he was basically kicked out by the Anshar for his behavior. David: Now, we have enormous numbers of records of giant skeletons that have been found all over the Earth. Are those red-haired giants related to them somehow? Corey: Well, let me just go ahead and tell you what occurred. Corey: Gonzales said that for the better part of a year, if not more, he’s been working with the red-haired giants. He’d been trying to get them to accept some of the healing technologies from the Mayans. However, they have been refusing any type of help from the Mayans, thinking it was some sort of leverage for them to say that . . .
[The] Secret Space Program Alliance and the Mayans have, at times, rescued red-haired giants from various places on the planet and brought them to this sanctuary. David: Okay. Well, there’s kind of a lot of questions that that raises. Corey: Yeah, and it doesn’t make sense for them to make a demand like that. David: I was under the impression that the red-haired giants died off completely. There’s none of them on the surface of the Earth now. Corey: There are none of them on the surface of the Earth now. David: So then why are we talking about them as if they still exist? That’s the part I . . .
Corey: At one point, they controlled a huge area of North and Central America. These beings are genetic creations of this Pre-Adamite race, . . .
Corey: . . . you know, that was in Antarctica. They created these giants to manage humans, their slave population of humans. After the cataclysm occurred, and the Pre-Adamites were basically wiped off the face of the Earth, or so we thought, these giants had to fend for themselves. And during this time, they were eating humans. They were causing a lot of problems. After a number of years after this cataclysm, when humans started to organize again, they started going out in hunting parties and killing off these giants. So the giants had to go underground, and they went deep, deep into the bowels of the Earth into some of these ecosystems deep in the ground that we’ve told you about, or that we’ve talked about on “Cosmic Disclosure” before. David: So what we’re then seeing is: We have American Indian tribes going after the red-haired giants. We have people in Europe and Asia going after the giants, and they retreated to underground areas? Corey: Their health suffered because they didn’t have the nutrients they needed, the sunlight. They were eating what was down there, and it was affecting their health not in a positive way. They were getting thinner and thinner. They hunted one species, a humanoid species, that lived in the Inner Earth, into extinction, because they became very fond of the taste of them, and they wreaked havoc on a few other of the beings that were down . . .
David: Would they look just like one of us only larger, or is there something unusual about the shape of their face or their head? Corey: Yeah, they have big foreheads, big thick jaws, double rows of teeth. They would not fit in and look like just a large human. David: So even if you shrank them down to our size, they’d look very, very different? David: Interesting. So they live in these underground areas. They’re essentially wiping out other underground populations of humanoids you’re saying. Corey: Right. Well, what finally ended up happening in their history is that some of their royal caste helped them start to get it together, as they say. They were a mess when they were refugees under the ground. So they found areas that would sustain a small population. They controlled their number, their population numbers, and some of the royal caste and religious caste of these giants went to various stasis chambers and put themselves into stasis. David: I’m just curious now about when we look at the records of their civilization in the Americas, we find the so-called “mound builders”, and there’s always these dirt mounds that are kind of pyramid-shaped. People would dig into the mounds, and they’d find giant skeletons inside. So the giant skeletons and the mounds are always one and the same thing. So it seems that these people had some desire to keep building pyramids. Why do you think that is? Corey: Well, the giants were the ones that were supposedly directing humans, or controlling humans, when they were building out the infrastructure and cities for the Pre-Adamites. So maybe, I’m speculating, these giants were, I guess, the foreman on these jobs, and they were making sure that the human slaves were completing the jobs. David: The mounds that people dug into, we never really saw any type of written books or . . . How literate do you think they were? Did the flood affect them so badly that they . . .
David: . . . lost a lot of their language? Corey: Right. They were in the same boat as the humans. Everything was lost. So . . .
David: Then how would they know about these caverns under the ground if they’re essentially now illiterate? Corey: Well, they were forced down in. They were forced to go in and explore and find these areas. Corey: What finally happened is they got their people together, the giants, and they said, “Okay, we have these little pockets of areas that will sustain this number. So maintain these numbers. We’re going to go into stasis, and when we pop out, that way we will be as strong and as powerful as we are now. But what happened is . . . There was over 130 of these beings spread out in these stasis chambers. And mostly what has happened is the Cabal has located these stasis chambers, awakened the giants, and then moved them to prisons inside bases. David: Well, I thought you said before that when people tried to access these stasis chambers that they would get stuck, and they wouldn’t be able to move through. There was like a gravitational field. So how could the Cabal actually awaken anyone? I thought nobody could get in there. Corey: Well, they CAN’T get in, but they have harmonic ways of turning off and controlling that technology. Corey: They found enough of them, broken and working . . . They know how they work very well. They know the mechanics of them. These sanctuaries . . . The people had survived physically, but mentally, they were completely checked out, these giants. He said, surprisingly, he was able to relate with them and had more headway with them before he went through his transformation, because they were so psychologically messed up and traumatized that he can’t reason with them hardly. Now – and he was telling me this as he was in the chair – he said, now, after he’s gone through this transformation from what he was before, that they just will not relate with him at all. David: So let me see if I got this. They go to sleep. They think they’re going to wake up and be kings over their people, 130 of these you said, but they wake up and now they’re prisoners. So that’s got to be very jarring for them, I would think. David: Do they experience it just like they knitted together two points in time, or do they feel like they were gone for a really long time? Corey: The ones that were in stasis, it’s just like they went to sleep and woke up. David: Wow! So this sudden loss of power you’re saying has caused them to be very, very distraught. Corey: Well, those are the ones that were in stasis. The ones that were living generation to generation in these ecosystems deep in the Earth, they were the ones that were the most traumatized. They’re like, “No! First, you bring us our royal families and others” who are in, basically, prison, Cabal prisons, “then we will accept the healing”. You know, that makes no sense whatsoever, but they are just gone up there. David: The people that are living inside the Earth that have been there the whole time, do they have any awareness of what our civilization is like on the surface, or are they so cut off that they really have no idea who we are when we would come in and capture them, basically? Corey: Most of them are cut off, but some of them would do recon missions up to the surface from time to time and have encounters with usually human military. Corey: So they had an idea of how out of control they were now. David: Did they have any communications systems that allowed them to be able to talk to different groups in different areas? Corey: I was told that they were utilizing some ancient technology below ground that allowed them to communicate here and there. But Gonzales was really frustrated. He kind of got a twinkle in his eye when he told me that these giants were not relating with him anymore after his change. David: Go down to where these giants are? David: Where were these sites? Did you get any specific information about where were these underground sites that they had relocated to? Corey: Yeah. It was in the Anshar area. As a matter of fact, Gonzales found out about them because the Anshar were being secretive and going off into this cavern area where there was a solid wall they were walking through, and he found a way, after weeks, to scurry around and find a little hole that he could peek through to see where they were going to. He saw the Anshar meeting with red-haired giants that were just moaning and crying and sounded horrible. It was soon after that, that he was, I guess, read in and started to meet with them before the Anshar kicked him out. David: So we are essentially out of time for this episode, but I’m interested just to get your speculation as to how these giants fit into the overall picture of Ascension and us transforming into beings like the Anshar. What do you think is the reason why you’re being shown this stuff? Corey: The reason I think it’s occurring is that these beings, even though they’re created and they did evil things, karmically we’re all connected. And just like the Blue Avians were wanting to move to the next octave, but they couldn’t because we were acting like a parachute, because they had karmic ties to us, that’s kind of the same thing going on with all these other beings. We all kind of lift each other up and move together, or no one does. David: At some point, you and Gonzales must have finished this conversation about the giants. So what happened next? Corey: Aree and her sister visited with Gonzales and I for a while. And some of the Anshar gathered around us . . . were keeping a little bit more distance from Gonzales than they were from me at this point. At this point, Aree’s sister said, “It’s time for us to prepare for meeting the new Guardians. And everyone was very excited. So we started winding down the conversation. Some of the elders invited me to come back and stay for a longer period of time . . . later, months from now. David: What did they call you when this was going on? Corey: They called me the Hanush. Corey: Everyone kind of got together in the commons area to say goodbye. And we said “Goodbye”. We followed the same route back to get onto the Anshar craft on top of the domed building, and then we flew out of the anomaly. David: Hm. Did anything else happen before you actually went home? Corey: Yes. I didn’t actually get to go home . . .
Corey: . . . still. We landed the Anshar bus craft, walked back into the temple complex, and, again, there were even more lines of people heading into the tunnel system that led back to where the cleansing room is that I described before. Aree and her sister walked me and Gonzales past the line. We walked past everyone, walked up to the front, and we did the cleansing ceremony. I folded my clothes, and I was going to put them next to Gonzales’s on this pedestal that was in a half moon, semi-circle configuration in that room, in the cleansing room, but Aree had a satchel over her shoulder, a light brown satchel, and she opened it up and held it out for me and indicated that I should put my clothes in there. I was looking around, and I saw representatives from all seven of the Inner Earth groups that I had met the first time I was there. David: Now, did they wear the same kind of amulets as when you first saw them? Corey: Yes. They were wearing the amulets and white tunics. David: Interesting. Well, that’s all the time we have in this episode. I want to thank you, Corey. It’s very fascinating information. And I want to thank you for watching. This is “Cosmic Disclosure”. I’m your host, David Wilcock, here with Corey Goode. Posted in Corey Goode, Cosmic Disclosure, David Wilcock, Disclosure. 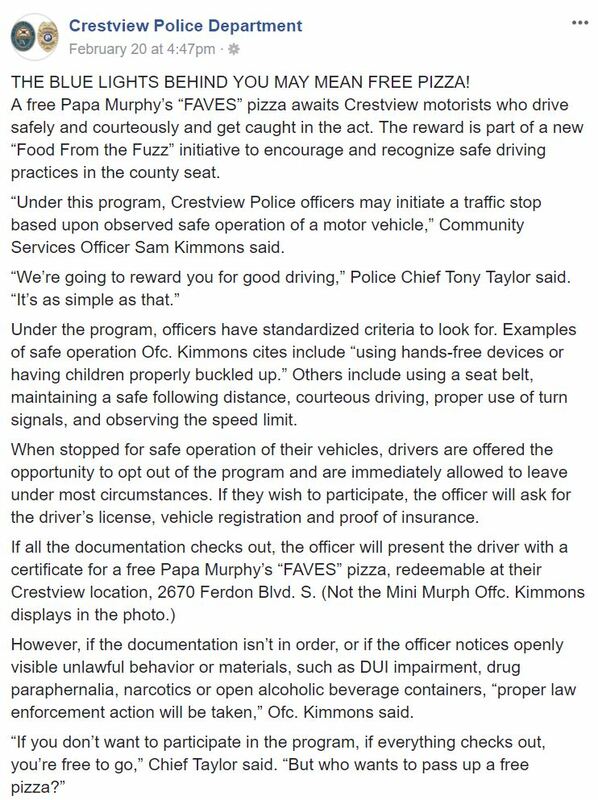 “A free Papa Murphy’s “FAVES” pizza awaits Crestview motorists who drive safely and courteously and get caught in the act,” reads the announcement on the department’s Facebook page. “Under this program, Crestview Police officers may initiate a traffic stop based upon observed safe operation of a motor vehicle,” Community Services Officer Sam Kimmons said. While the Free Thought Project has reported on programs where cops randomly pull people over to give them free stuff, this program crosses a line others did not by conducting an actual traffic stop. But it is not “as simple as that.” Pulling people over for driving safely is a direct violation of the 4th Amendment. And this department is not just giving people pizza, they are conducting actual traffic stops. Under the program, officers have standardized criteria to look for. Examples of safe operation Ofc. Kimmons cites include “using hands-free devices or having children properly buckled up.” Others include using a seat belt, maintaining a safe following distance, courteous driving, proper use of turn signals, and observing the speed limit. Here is where the program takes a turn for the worse. Safe drivers will only get the “reward” if they allow their rights to be violated and further submit to the illegal stop. Drivers who flex their rights get nothing, or worse. When stopped for safe operation of their vehicles, drivers are offered the opportunity to opt out of the program and are immediately allowed to leave under most circumstances. If they wish to participate, the officer will ask for the driver’s license, vehicle registration and proof of insurance. See how they did that? Notice how they said, “under most circumstances,” meaning if they find anything when they walk up to your vehicle during the unlawful stop, you’re screwed—4th amendment be damned. Only if the illegal stop, illegal detention, relinquishing of rights, and citizen submission all work out in your favor, then, and only then, will you get some coupon for a pizza. But, if they find one thing wrong, their illegal traffic stop just found a way to circumvent the 4th amendment. However, if the documentation isn’t in order, or if the officer notices openly visible unlawful behavior or materials, such as DUI impairment, drug paraphernalia, narcotics or open alcoholic beverage containers, “proper law enforcement action will be taken,” Ofc. Kimmons said. In order for police to initiate a traffic stop, an officer must have reasonable suspicion that articulable facts indicate there is a crime being committed or about to be committed. Safe driving is not reasonable suspicion and offering pizza coupons does not change this fact. Luckily, however, people on Facebook are seeing right through it. There are hundreds of comments on the post and only a handful of people who actually support the program. “I’m all for giving back to the community, but this is a horrible idea. Now you can literally pull anyone over for absolutely no reason, in the silent hopes you find something. Keep your pizza and save me the time and anxiety attack of being pulled over,” Jessica Roan wrote. In one exchange on the post, the typical police apologist reaction of “if you don’t do anything illegal, you have nothing to worry about,” was presented and that person received the most epic reply pointing out that it is the police who are breaking the law. Judging from the reaction to this program the police department would do well to scrap it. If they do not, taxpayers of Crestview be warned: you are setting yourselves up to be fleeced in the countless lawsuits that are sure to follow. Posted in The Free Thought Project. When I was young, I was in a horrifically abusive relationship for over a year. Even though I was able to eventually “get out” and save myself, it took me many years to figure out how to heal the deep emotional wounds. We tend to think of an emotional wound as the original traumatic experience – as the “thing” that happened to us, but the wound is actually the dis-empowering belief that we developed as a result of the traumatic experience. In the search for emotional security, our natural response to any traumatic event is to make sense of it. We “make sense” of things by creating beliefs. Beliefs that we develop in response to traumatic experiences are Traumatic Beliefs. Because Traumatic Beliefs are disempowering and painful, they become emotional wounds. When a child experiences himself as abandoned, for example, that child forms beliefs around abandonment in order to explain why he was abandoned. The child may answer the question, “Why?” by creating a belief that he was not good enough. The abandonment is the not the wound. The wound is the belief in unworthiness. In this case, healing involves releasing the Traumatic Belief of unworthiness. Traumatic Beliefs always create corresponding emotional needs which must be met in order to heal. The catch is that a Traumatic Belief also creates an invisible barrier that keeps the emotional need from being met. For example, if the Traumatic Belief is, “I am not worthy,” the emotional need is feeling worthy. If you could feel unconditionally worthy, the wound would heal. The problem is, if you believe that you are not worthy, you will block the feeling of worthiness because it does not align with your beliefs about worth. This is also why healing is so challenging. Loss does not necessarily create an emotional wound. We all experience loss – loss of an aging parent or loss of a relationship, for example. Loss is part of the flow of life. Grieving is a natural response to loss and it is the process of letting go. However, if we do not let go, loss can turn into an emotional wound. This occurs when a Traumatic Belief is formed about the loss; for example, beliefs like, “no one will ever love me again,” or “everyone I care about leaves me.” Again, it is the Traumatic Belief that creates the emotional wound and not the loss itself. Transformational Forgiveness is not about forgiving another or forgiving ourselves, as much as it is about letting go of the beliefs that keep us trapped – as the prisoner of unhealed wounds. Ask yourself, “Do I want to heal more than I want to hold onto these beliefs?” If the answer is yes, it is time to let go of disempowering false beliefs. In order to heal an emotional wound, emotions must be able to “process through” until completion. If we allow our emotions to come up over and over again without resolution, we are actually reactivating the wound and each time we do, it magnifies. Healing requires resolution. This means feeling your emotions completely and not pushing them down or away. The healing comes when you allow your emotions space to be experienced until the process is complete. In order to allow emotions to “process through” you must get in your body. Emotional wounds are stored in the body, and therefore the way to release them is by getting in your body and feeling your emotions until the process feels complete. 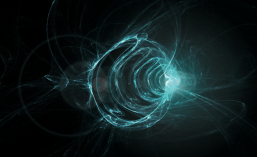 Helping people to make quantum jumps in their lives, Nanice’s very unique coaching style is often referred to as the “Nanice Effect”. 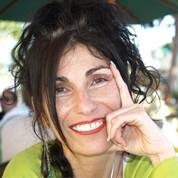 By using powerful and proven manifestation techniques, Nanice coaches people to tap into the power of the Universe and live their dreams, bridging the gap from the imagination to the realization of that dream. She works with leaders, coaches, healers and anyone who wants to live life to the fullest. The coaching programs offered include: Live Your Dream Coaching Program… Manifestation Breakthrough Program… Re-program Yourself for Success… and Healing Emotional Wounds. 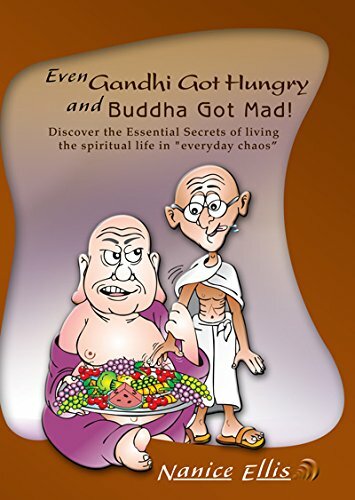 Nanice is also the host of radio show “Chai with Nanice” and the author of several books including The Infinite Power of You! 22 Secrets to Unlocking Your Personal Power, and her latest publication Out of the Jungle (a beginner’s guide to Ayahuasca). Her books are available here at Nanice.com/6/Books and Amazon.com/Nanice Ellis. Posted in Healing, Trauma Healing.